J.F. 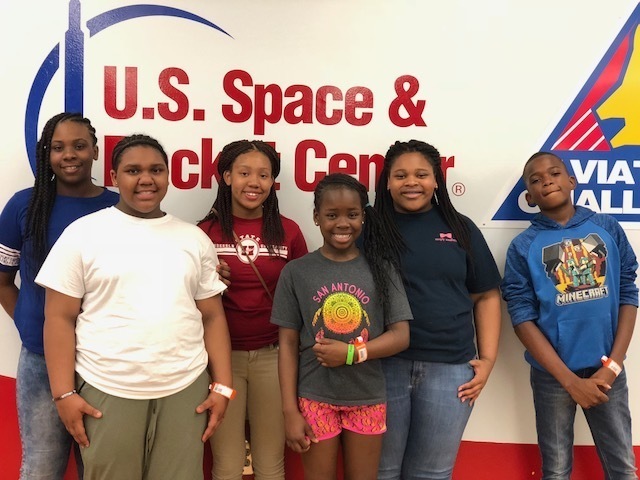 Wahl Elementary Students, Kassidy Truitt, Amayia Kemp, Hannah Gates, Saniya Jones, Cayla Cole, and Willie Winfield, attended the NASA Aviation Challenge for a week at the U.S. Space and Rocket Center in Huntsville, Alabama. The campers learned about aeronautics, propulsion and aviation history, practiced water survival skills using helicopter simulators for a water crash and rescue by a survival lifter, and flew in a UAV drone simulator. The campers' team, REAPER, brought home the high point award for placing first in the most aviation mission challenges. This opportunity was available through the collaboration of Delta G.E.A.R. U.P., J.F. Wahl's Academy Program, Helena-West Helena Gifted and Talented Program, and the Boys and Girls Clubs of Phillips County.